Hey y'all! Remember me?!? I know, I know. It's been a long time. Too long. So you're probably wondering where I've been. Over the last several months, I've given a lot of thought to blogging and wondered if I'd ever return to it. There were days I missed it and days I didn't. Life is quite busy since moving back to Savannah. I think I actually have less free time than I did when we lived in Atlanta. There's always something going on, something fun to do. Over the last six months, I lived in the moment-truly taking in each experience without the pressure of 'gramming it, tweeting it or facebooking it. It was a welcomed change and extremely refreshing. The pressure of working all day then coming home to pull a post together was getting heavy, real heavy. It was becoming a chore. A struggle. Finally, I realized I needed to take a step back, a breather. And I'm so glad I did. But after a lot of thought and consideration (and encouragement from my dearest blog friend, Nicole), I decided to come back. At the end of the day, I still enjoy sharing products, curating outfits, discovering sales, trying new recipes and everything in between. Putting all of that down in a post is a good way for me to catalog some of my favorite things. So why not share it? I don't know what the consistency will look like but if you stick with me, I promise to bring you great content. I'm not gonna blog just to blog. I'm not going to post just to have a new post up. I will share when I have something I feel is worth sharing. Deal? Deal. 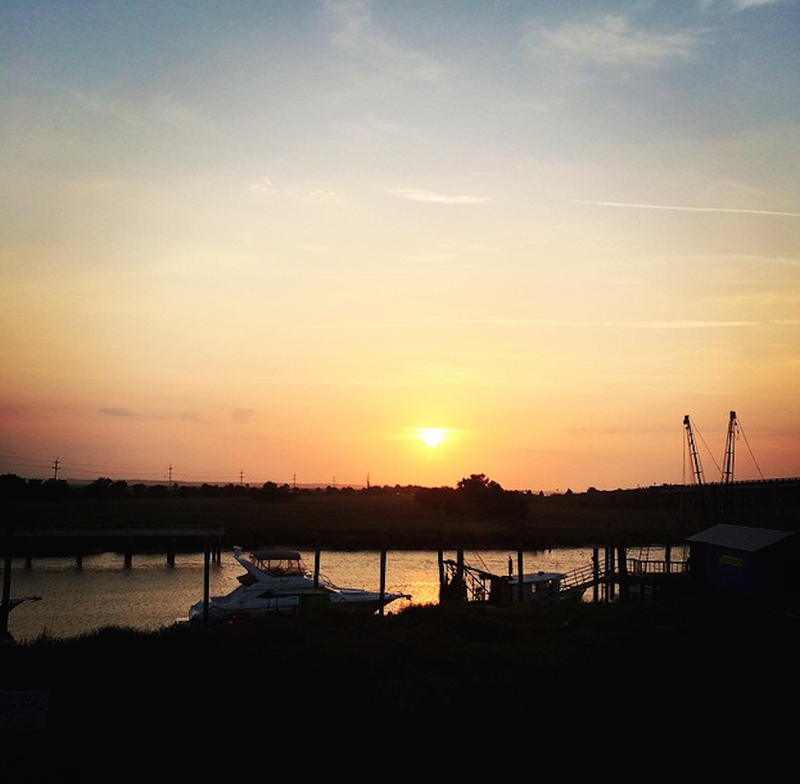 With that, I'll leave you with something pretty--a recent Tybee Island sunset. I look forward to seeing y'all again tomorrow. I hope you'll join me! Happy you're back to blogging!